A heavy metal legend, in the plastic! 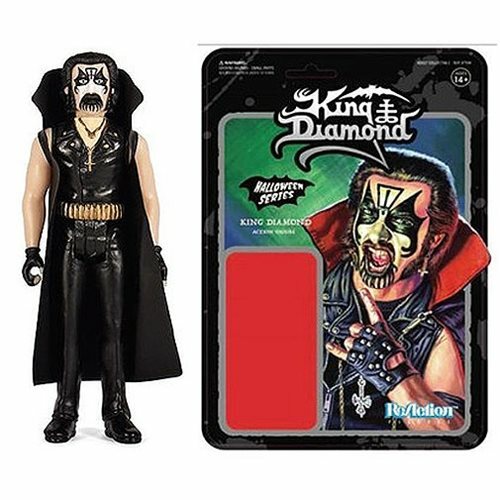 Complete with vinyl cape, the hard rocking King Diamond 3 3/4-Inch ReAction Figure comes styled with his classic costume, famous make-up, and awesome gloves. Don't miss it! Ages 14 and up.